..king of all post-war blues harpists,…. The fiery harmonica wizard took the humble mouth organ in dazzling amplified directions that were unimaginable prior to his ascendancy. 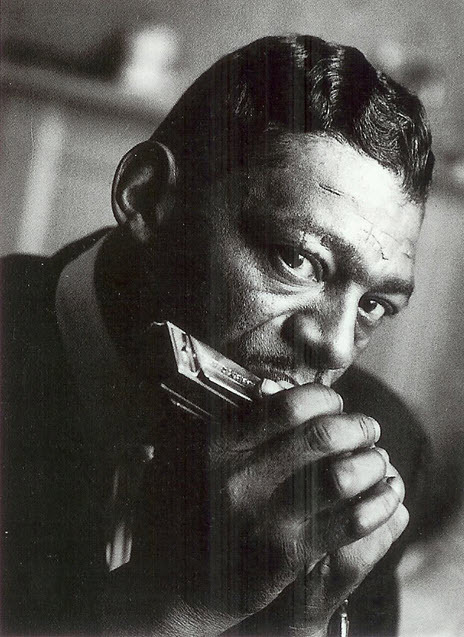 Little Walter, born Marion Walter Jacobs (May 1, 1930 – February 15, 1968), was an American blues harmonica player, whose revolutionary approach to his instrument has earned him comparisons to Charlie Parker and Jimi Hendrix, for innovation and impact on succeeding generations. His virtuosity and musical innovations fundamentally altered many listeners’ expectations of what was possible on blues harmonica. 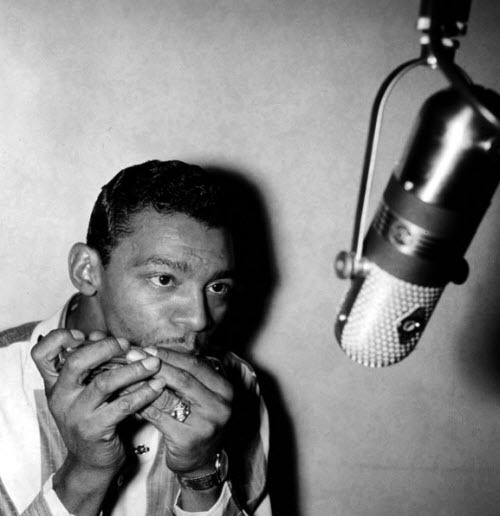 Little Walter was inducted to the The Rock and Roll Hall of Fame in 2008 in the “sideman” category making him the first and only artist ever to be inducted specifically for his work as a harmonica player. His legacy has been enormous: he is widely credited by blues historians as the artist primarily responsible for establishing the standard vocabulary for modern blues and blues rock harmonica players. His influence can be heard in varying degrees in virtually every modern blues harp player who came along in his wake, from blues greats such as Junior Wells, James Cotton, George “Harmonica” Smith, Carey Bell, and Big Walter Horton, through modern-day masters Sugar Blue, Billy Branch, Kim Wilson, Rod Piazza, William Clarke, and Charlie Musselwhite, in addition to blues-rock crossover artists such as Paul Butterfield and John Popper of the band Blues Traveler. Little Walter was portrayed in the 2008 film, Cadillac Records, by Columbus Short. 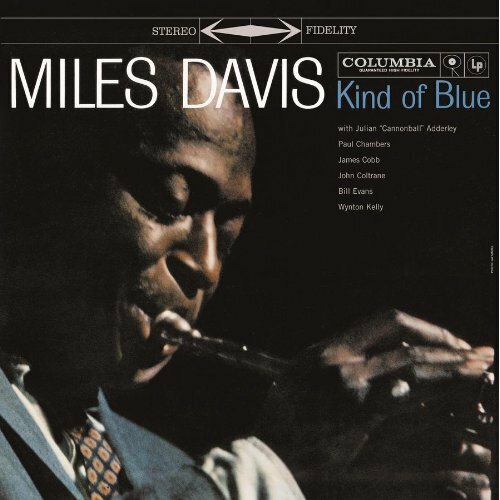 Kind of Blue is a studio album by American jazz musician Miles Davis, released August 17, 1959, on Columbia Records in the United States. Recording sessions for the album took place at Columbia’s 30th Street Studio in New York City on March 2 and April 22, 1959. 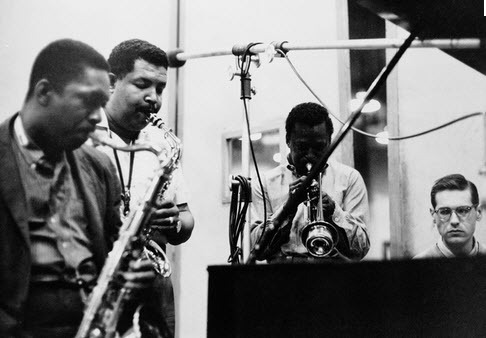 The sessions featured Davis’s ensemble sextet, which consisted of pianist Bill Evans (Wynton Kelly on one track), drummer Jimmy Cobb, bassist Paul Chambers, and saxophonists John Coltrane and Julian “Cannonball” Adderley. Though precise figures have been disputed, Kind of Blue has been described by many music writers not only as Davis’s best-selling album, but as the best-selling jazz record of all time. On October 7, 2008, it was certified quadruple platinum in sales by the Recording Industry Association of America (RIAA). It has been regarded by many critics as the greatest jazz album of all time and Davis’s masterpiece. The album’s influence on music, including jazz, rock, and classical music, has led music writers to acknowledge it as one of the most influential albums ever made. In 2002, it was one of fifty recordings chosen that year by the Library of Congress to be added to the National Recording Registry. In 2003, the album was ranked number 12 on Rolling Stone magazine’s list of the 500 greatest albums of all time. 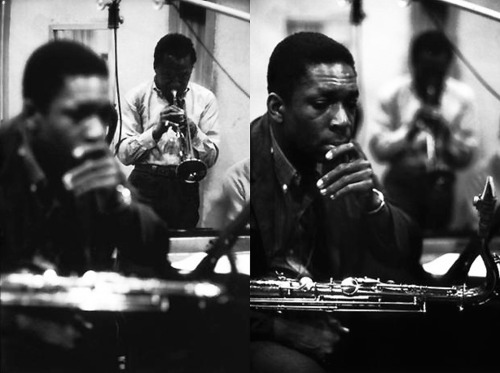 Kind of Blue was recorded in two sessions at Columbia Records’ 30th Street Studio in New York City. 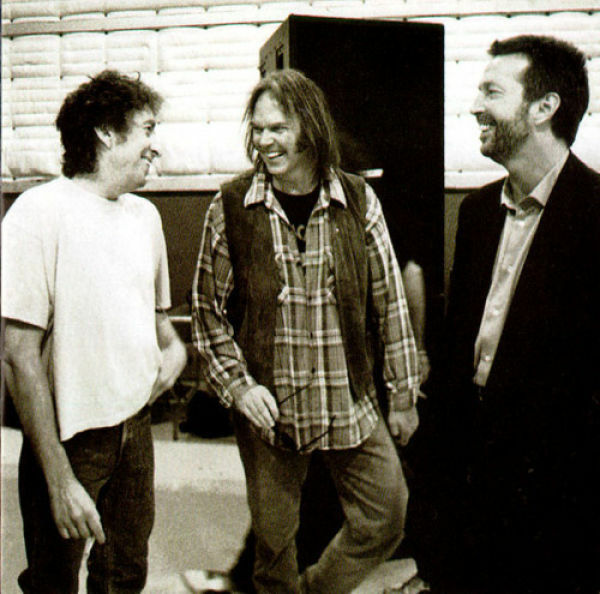 On March 2, the tracks “So What“, “Freddie Freeloader“, and “Blue in Green” were recorded for side one of the original LP, and on April 22 the tracks “All Blues“, and “Flamenco Sketches” were recorded, making up side two. 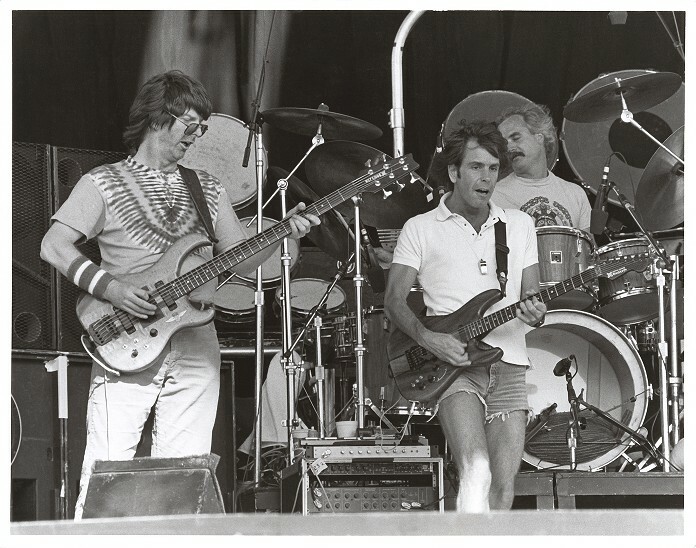 Production was handled by Teo Macero, who had produced Davis’s previous two LPs, and Irving Townsend. 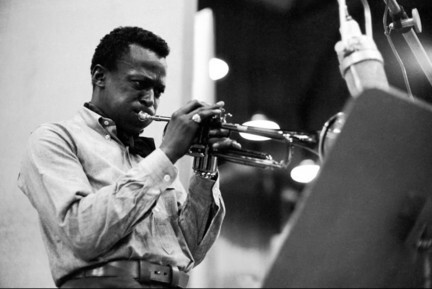 Kind of Blue isn’t merely an artistic highlight for Miles Davis, it’s an album that towers above its peers, a record generally considered as the definitive jazz album, a universally acknowledged standard of excellence. Why does Kind of Blue posses such a mystique? Perhaps because this music never flaunts its genius… It’s the pinnacle of modal jazz — tonality and solos build from the overall key, not chord changes, giving the music a subtly shifting quality… It may be a stretch to say that if you don’t like Kind of Blue, you don’t like jazz — but it’s hard to imagine it as anything other than a cornerstone of any jazz collection.